Oil would have to cost only about $72 per barrel for larger duckweed refiners to be cost-competitive. 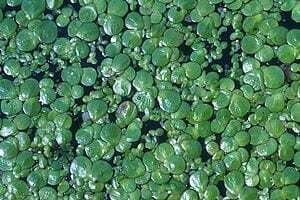 The search for a less-expensive, sustainable source of biomass, or plant material, for producing gasoline, diesel and jet fuel has led scientists to duckweed, that fast-growing floating plant that turns ponds and lakes green. That’s the topic of a report in ACS’ journal Industrial & Engineering Chemistry Research.